In Pima County, bridge inspectors check anywhere between 50 to 250 bridges. But what does this mean? KGUN 9 was granted the opportunity to shadow a bridge inspector and learn exactly how they determine bridge safety. 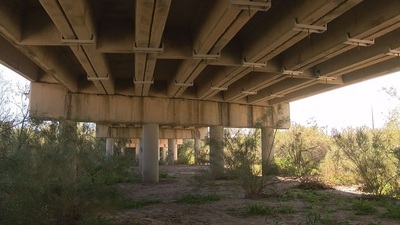 In Pima County , bridge inspectors check anywhere between 50 to 250 bridges. But what does this mean? 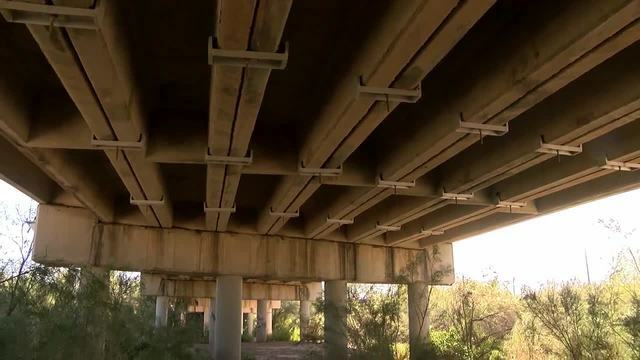 KGUN 9 was granted a unique opportunity to shadow a bridge inspector and learn exactly how they determine bridge safety. David Zaleski has been the Pima County bridge inspector since 1988. He says he begins each bridge inspection on the deck, where cars or pedestrians go over. Monday afternoon, Zaleski conducted his yearly inspection on the Dodge Blvd. bridge over the Rillito River. Federal regulations mandate an inspection every 24 months. But because Zaleski put a load restriction of 40,000 lbs. on the bridge 20 years ago, he checks it yearly, as he does other bridges with load restrictions. During inspections, he's looking for cracks, defects, or anything that's out of the ordinary. He noticed one damaged spot in particular on this bridge: the block out spacers are damaged, with half of it missing. If a car were to hit that spot, Zaleski said, "It would probably push back and the guard rail would deflect more than it's intended to go." 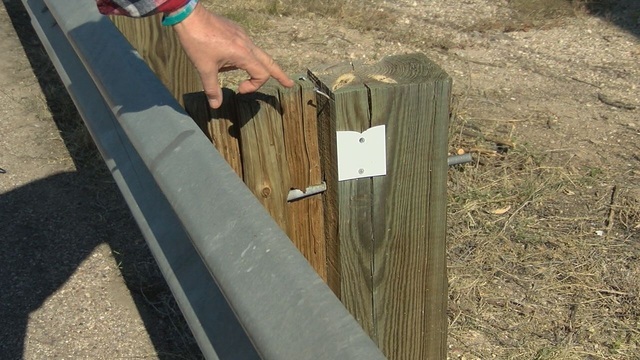 Zaleski says some deficiencies like faded paint on the guard rails, or cracks in the asphalt, aren't a concern for people who cross the bridge. In fact, they're expected during inspections. Because he's been the longtime inspector for the county, he has an idea of what to expect. He did notice a pothole starting to form in the center line of the deck. "Water can seep down underneath, so that just becomes a maintenance concern that we want to try to keep that pothole from getting worse," Zaleski said. Once the deck is inspected, Zaleski then moves onto the structure under the bridge. He finds a loose coupler between the girders. Girder: a large iron or steel beam or compound structure used for building bridges and the framework of large buildings. Coupler: something that connects two things, especially mechanical components or systems. "Is it a significant issue? No. It's not gonna cause a bridge collapse, but it's something I'll write up and somebody will come out here. And there's probably several more," Zaleski said. </p><p>At the end of the inspection, Zaleski says the Dodge Blvd. bridge is in good shape, and a maintenance crew will be out there in the near future to fix the loose couplers. Remember, Zaleski says those loose couplers are not a concern for anyone crossing the bridge. The bridge will be inspected again next November.